You must make reservations at least 5 minutes in advance of the time at Zula Bistro & Wine Bar. Parking is available on the street as well as in the Washington Park public garage across the street from Zula. Street car stops half a block away. We offer cocktail party menus. On Sundays and/or Mondays, we offer private events up to 150 guests. Tue-Sat we offer private parties up to 100 guests. 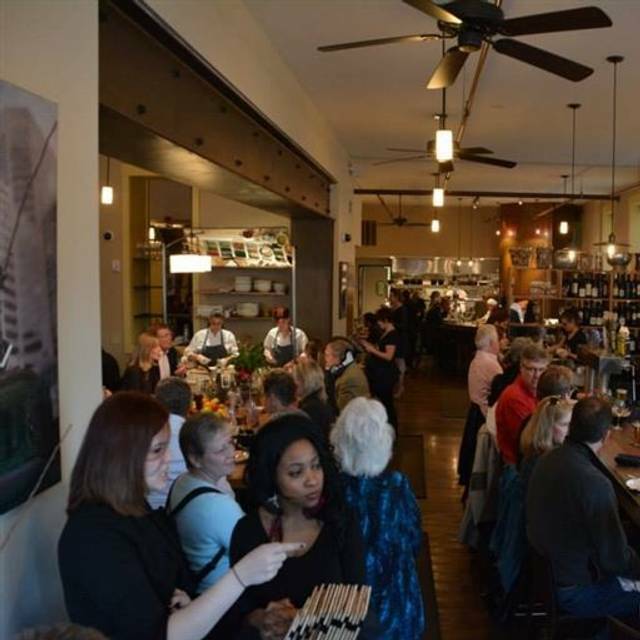 Zula Bistro and Wine Bar in historic Over The Rhine is a tapas style restaurant and wine bar. The menu features variety of mussel dishes, cold and hot tapas, and seasonal entrees. The flavor profile concentrates on the countries surrounding the Mediterranean sea. Zula specializes in craft beers and an extensive wine list with large offering of wines by the glass. Ask your server for our featured flavors. Crispy Almond Florentine. *Consuming raw or undercooked meats & seafood may increase your risk of foodborne illness. 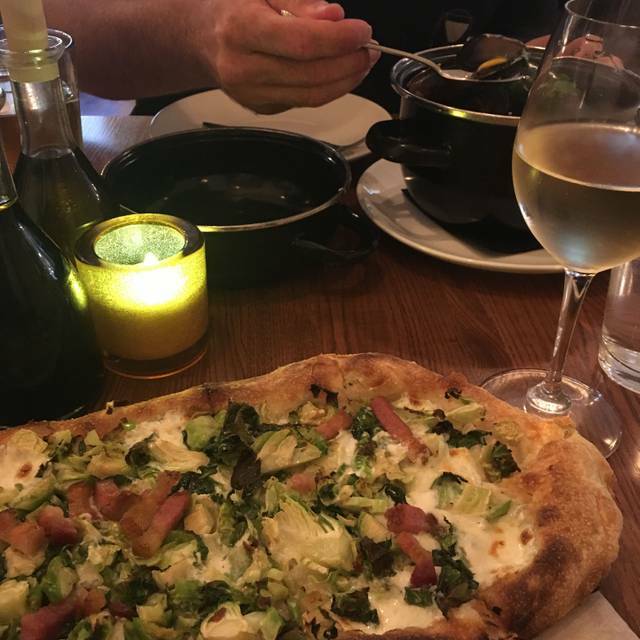 The mussel and the flatbread is one of my favorites, with a great wine selection. The location is also very great since it's right between Vine st and the Washington park and the music hall. It's a great place to get dinner and drinks before a show at the music hall. I dine at this restaurant far more than I should. 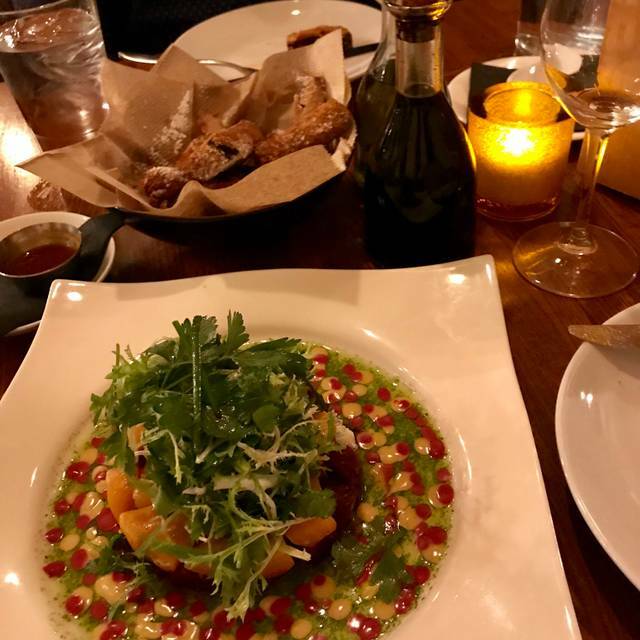 But when the food is incredible, the staff is hospitable and warming, and the ambiance is beautiful, balanced and somehow perfectly similar to the vibe of NYC, why not?? I notice something new to love every time I come here. Upon my most recent visit, I was nestled by the front window which allowed me to realized how perfectly stationed the restaurant actually is on the corner of Race Street. The view from my table reminded me of my days in New York City, dining with a good friend whilst enjoying the view of the park, people walking by and of course, the city itself. At this point, I've tried every single crud on the menu. It's safe to say each and every one is executed to perfection with perfectly balance flavors. Each one melts in your mouth and the burst of flavor is so refreshing. The ingredients are clearly quality. For me, that's when you know a good dish. When the ingredients can speak for themselves and commingle in a way that creates a dish with a unique flavor profile without compromising the ingredients themselves. The wine list is superb. This time around, however, I went with one of my new favorite sparkling wines as well as a cocktail! I'm a Bourbon gal and I often prefer my bourbon straight, no ice with a splash of lime. But this cocktail was perfect. The bourbon sang without being overpowered by too much sweetness and of course, lemon and bourbon is always a good mix. Lastly, the mussels! Again, being a rather frequent diner I am working my way through the entire menu. The mussels are incredible of course. So far, I've indulged in the Thai Mussels, the New Orleans Mussels, the French Classic Mussels. While I've still got quite a while to go before I finish them all, I must say that I can't even choose a favorite. The broths are packed with so much flavor and each unique flavor profile sings its own tune exceptionally. I really can't rave about this place enough. We sat at the flat bread oven bar and had a great show from the chefs. We were going to a show and they had our food out promptly and delightful. Great place to spend an evening with a friend or group of people. This was my fourth visit to Zula but the first time I've invited guests from out of town. We opted to order appetizers, mussels and flatbreads to share. Everything was outstanding! I had the curry mussels for the first time and they rivaled the fungi mussels... my all time favorites! My husband and I are already making plans for our next visit so that we can try some of the other mussels. Wife and I travel a LOT, so date night is extremely important to us. 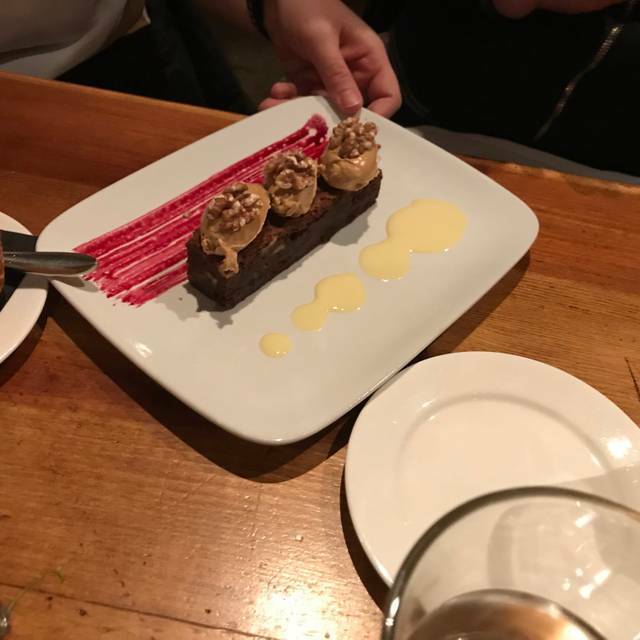 Zula checked all the boxes, Food was phenomenal, Server (Emily) was one of the best we've had in the city and would definitely recommend. Can't control who sits next to you and she certainly didn't know how to "maintain low tones", nevertheless the company next to us would never deter us from visiting or recommending Zula. When I made a days in advance, 6.00pm reservation (early-ish for a Sat. night), I assumed I was reserving a table. Instead, my boyfriend and I were seated in two cramped corner seats at the long table next to where the sous chef works. They have way too many people crammed at those tables, with a relentless stream of host, server, and patron traffic one inch from the bodies of guests trying to enjoy their dinner. Very uncomfortable. We asked the server if we could be reseated in one of the three open tables for two, but were told, no, those are for people with reservations! The food was excellent, as always, but we won't be back anytime soon. Once again an excellant experiance! Been here a number of times and I plan on many more! Great food! Dang good wine list... and staff is always awesome!! Love Zula - wonderful place to eat pre-post Washington Park area events! Don’t sit at the community table if you want room to move your arms. It is way to cramped. And when I made reservations I definitely would have said no to sitting there. The waitresses are always trying to squeeze your food and drink over your shoulders. The dropped a salad plate and got beer juice on one customers pale pink sweater. Need to have two less seats there. Had a wonderful meal again at Zula. We always enjoy dinner at Zula! 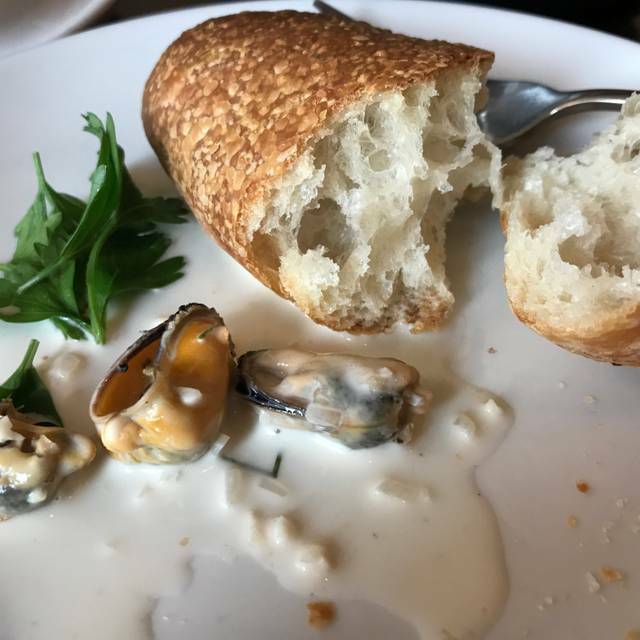 Love Zula's - my new favorite in OTR.....Especially like their Classic French Mussels (make sure to get the bread to dip in the sauce!) - Thai mussels are good as well....Their salted caramel creme brulee is so silky and amazing.....I've been there several times and have liked everything so far.....Like the way their wine menu is set up - easier to choose with a good amount of price choices.....Our table was in the main dining room and was a bit noisy with some difficulty hearing across the table. 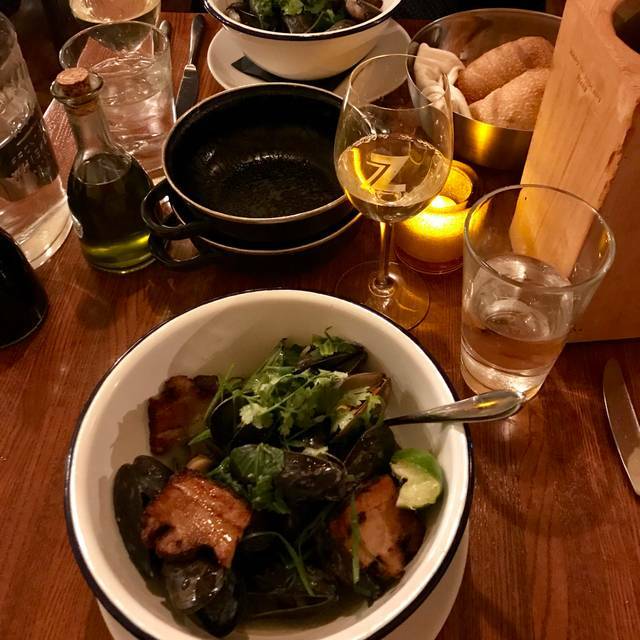 Marseille Mussels and great wine and cava made a great date night. This is one of the top tier restaurants in Cincinnati with such an engaging vibe. My fave! Muscles ...fresh, hot, silky and flavorful...superb! 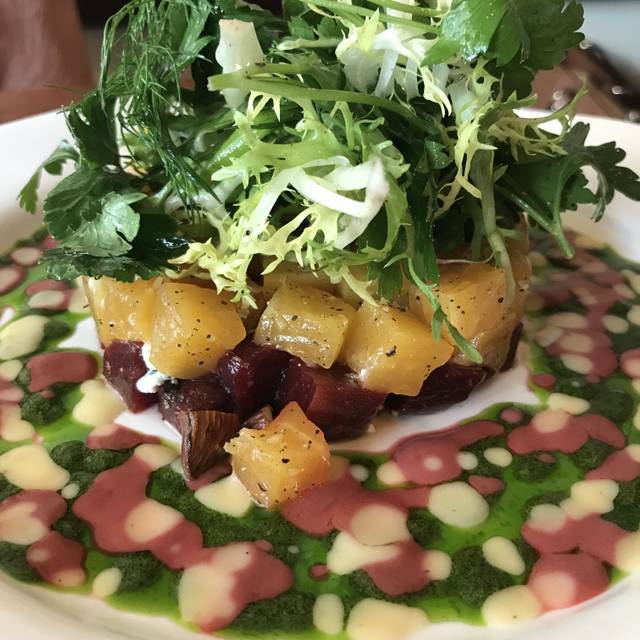 Beet salad...treat for the eyes and big flavor...superb! Bread... tender and chewy inside to absorb the lovely broth and crusty enough to hold up to the broth...superb! Service by Jamey... friendly, accommodating, efficient...superb! One of our favorite restaurants. Every dish we try is amazing in flavor and appearance! The mussels are all great too! This was the first time Visiting Zula (on a Wednesday-5:30) and it was a wonderful experience! Food Was Prepared to Perfection, Wait Staff-FABULOUS! I have told at least 15 friends about this wonderful restaurant in OTR since my visit. Waitress was friendly and food was delicious. The food and service was great . For the last 2 times we sat in the back and both times we were seated next to a very noisy tables . They were very loud that we could not hear each other talking . We asked the server to ask them to be respectful of others but nothing changed. We left as soon as we finished dinner . I feel that it is management responsibility to keep things under control. After all it’s a dining area not a club. I have enjoyed Zula a number of times and I am never disappointed. The food is always excellent and the surroundings pleasant. It's the perfect start to a night at the Symphony. I had a wonderful dining experience. The charred calamari and Thai mussels were superb! Our server Elise was amazing. She helped us with all of our many, many questions. I’ll definitely be back again. I love everything about Zula! Awesome experience like always! Great service, fantastic food and drinks. My favorite restaurant downtown! Always good food and service at Zula, and their wine list is really one of the best in the city. You can get a $7 glass of wine that tastes so much better than that. They do a great job. Another outstanding dinner at Zula. Mussels and flat bread shared with wife. Mussels were good size and sauce superb. The flat bread was tomato, no meat and excellent. Great service exemplified by their running down the street to provide us take home we left at table. They remain on our list as one of teh best in area. I LOVE Zula. Specially sitting in the front room. Our party size kept growing throughout our reservation process. Courtney and the manager kept working with me. Such a pleasant experience. Fabulous food with a great ambience. It is rather noisy around the bar area but you can request seating away from the bar. They have a great mussel bar and flat bread selection. Service was excellent. My husband and I love Zula, especially before an event at Music Hall. We had reservations and were seated at the communal table in the middle, which was not the best. It was very tight and difficult to eat. Our server was very kind, but hard to get back when we needed her. I will definitely come back and completely understand a rush before an event. Great Service and food and cocktails were were outstanding! 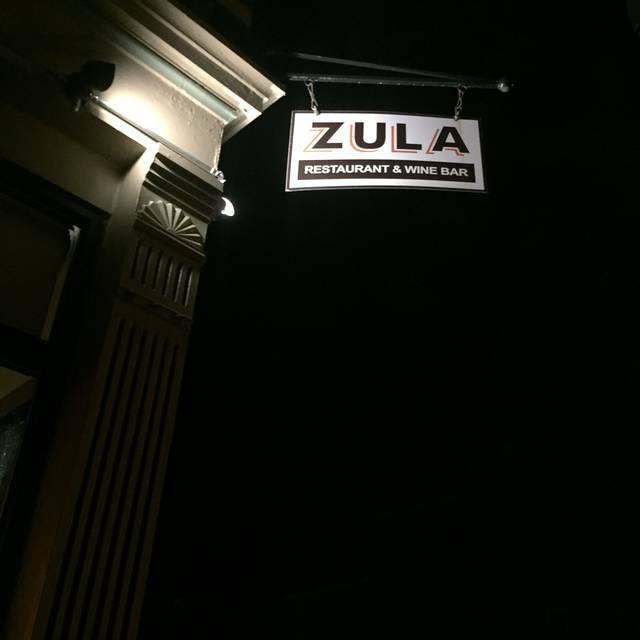 Zula is one of our favorite places in OTR to visit. The wine selection is great, and the roasted beet salad was delicious. Our entrees were cooked to perfection, and the service was good. The pistachio gelato was excellent; it really did taste like pistachios since it was the "real thing". Our dinner was very enjoyable. The food and service were excellent. Always an awesome experience here. Efficient service with great personalities and wonderful flavorful food. We love dining at Zula - the food and service is always very good. Tried the New French 75 and it’s now a new favorite cocktail. The grilled calamari as a starter was delicious. 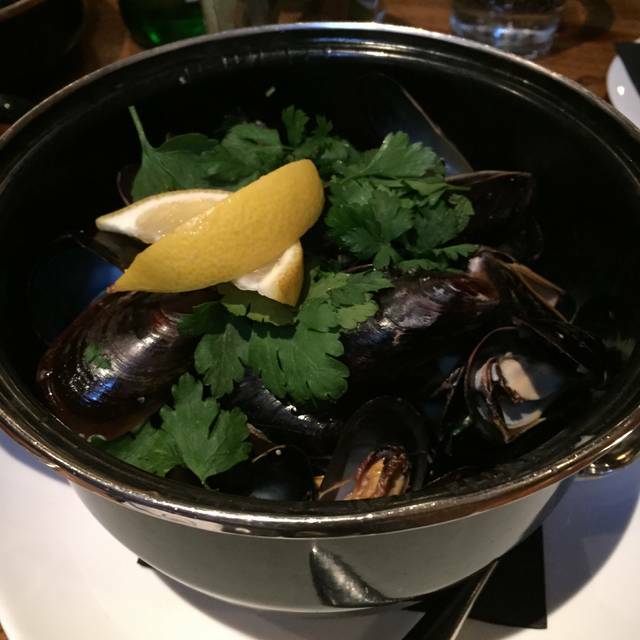 The mussel pots were perfectly prepared (as usual). We also ordered bread and fries for dipping. One of the best meals in the city. Thanks again Zula for a great night! Food is unbelievable!!!!! The French mussels is the best around. Our server was very friendly and helpful. We were in the pre-show dinner rush and she still managed to make us feel taken care of. We will definitely be back to try the mussels.